As we talk about the Election of 2016, and who will be the 45th President of the United States of America, it behooves us to consider some of the history of this country and look back to a time when Policy was dictated for the common individual and not the major corporations or whims of politicians beholden to external sources for their positions of power. Jeffersonian economics is a grand notion that more of our current politicians should adopt. 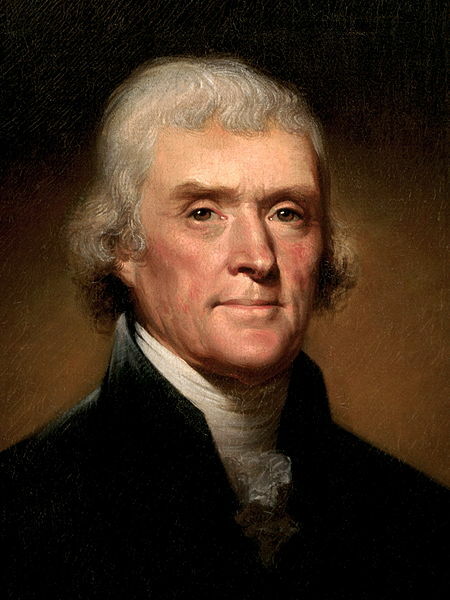 Thomas Jefferson, the third President of the United States, adopted the view that the federal government should be frugal in their expenses and not cause a large of amount of taxation on the business owner, or the farmer toiling in the fields. This view was more prevalent with Jefferson’s reign as he continually helped expand the territory that the United States could claim legally in order to help create more agrarian jobs for those qualified to work and own such properties. This was a time when only those who had skin in the game could vote and to do so, you had to own property, be a white male and work. While these restrictions seem outdated in our current society, one can see their point. There are far too many people who are uneducated, uninformed and are not producing for the country they live in; who are capable of voting. Misinformed and uninformed voters are those who our politicians feed off of. Economically speaking however, while Jefferson was in office, he kept expenditures down and kept taxes low. This allowed farmers to produce their agricultural products without burdening them with taxes that limited their income and allowed those who owned their own businesses and kept apprentices to train their employees and produce goods that could be sold at affordable prices. The reason Jefferson was able to keep taxes low on goods manufacturing was because he kept government expenditures low. Courtesy of Clarence B. Carson, and his research on Thomas Jefferson, we can use his work to infer that President Jefferson was on the right track keeping with a small central economy and promoting the efforts of the individual and smaller business organization to flourish. Here we can see his exact words, translated in to modern English, that individual States should be the primary government responsible for their own citizens. The federal government could be doubted to have have expanded into areas of service that it should not have delved into creating excess costs that were unnecessary. Finally, Jefferson in his first address, proves his policy agenda by promoting his own accomplishments in limiting the costs of the diplomatic agency and the abolishment of the inspectors of internal revenue among others. This sounds like a man who held true to his vision of a small central government, who while understanding the purpose of the federal government refuses to let excess get in the way of a policy view that he believes will actually benefit his country. If the leading contenders for this seat of power in the United States actually believed what Thomas Jefferson did, then the current political landscape would look much different and be much more efficient. The Tea Party has one big thing going for it, and that is the cutting of costs in the Federal Government, but needs to be totally adopted in order to not circumvent the benefits of these policies by increasing the size of the military and supporting large financial and corporate institutions.